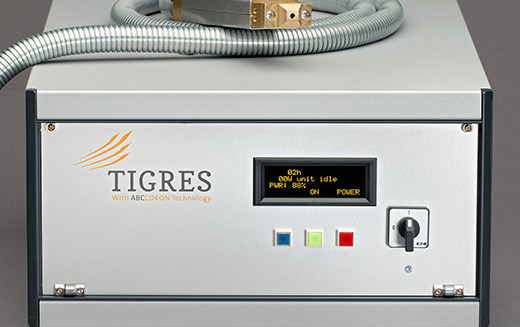 With CAT technology, the potential-free plasma is generated by two arcs, whereby the counter arc also acts as the counter electrode. 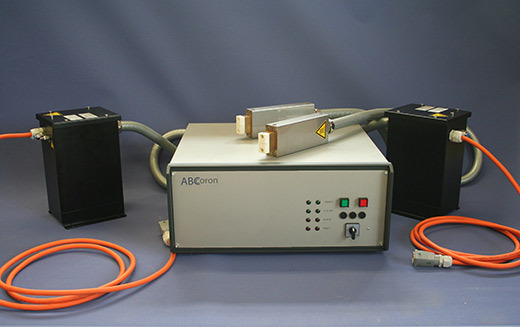 This method minimizes the effects of wear on plasma generation. 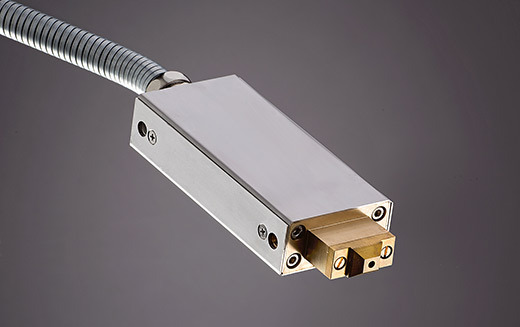 Whether using a single nozzle for a processing width of 20 - 40 mm per head or using multiple nozzles lined up together for wider applications - this powerful technology offers a solution suited for any energy-intensive pretreatment. One generator can supply up to two nozzle heads. Special functional groups can be applied to the polymer surface using various process gases in this case as well. The technology can be adapted to any material width by varying the number of heads. 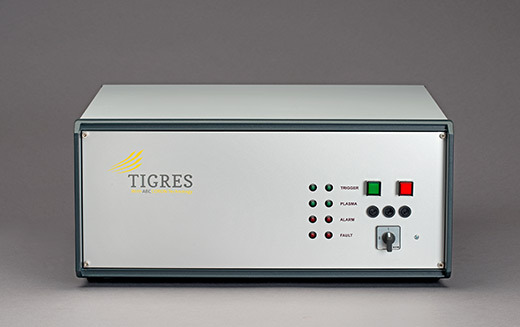 Depending on the process parameters, the plasma treatment has an effective range of 5 - 30 mm. The supply lines to the Plasma CAT heads can run parallel or perpendicular to the nozzle.